I love fall foliage, and love taking pics of it too! This is a tree near the entrance of my work. 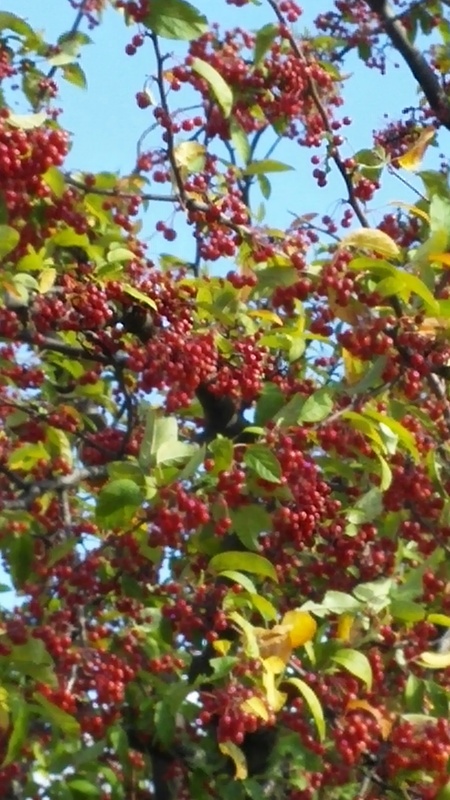 Any idea what kind of berries these are?